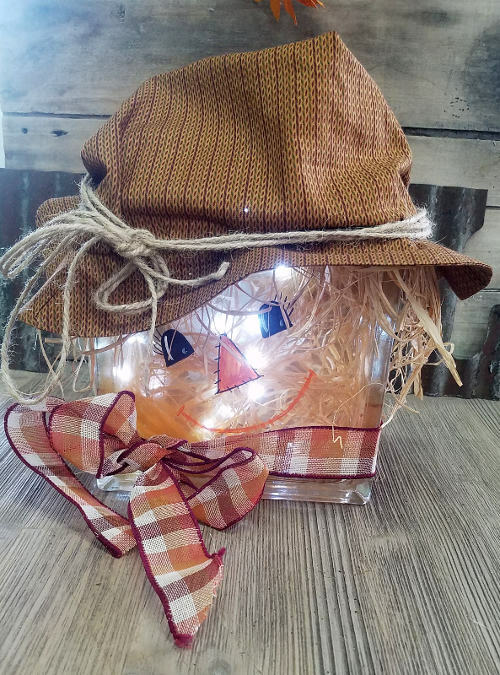 Create a handsome Lighted Scarecrow that will light up your fall festivities. We will show you how to create your own handsome Lighted Scarecrow. All materials will be provided, including an 8" glass block, battery powered mini lights, paints, and a selection of decorative items. Have fun as your scarecrow shows his unique personality! Workshop will take about 2-3 hours to complete.